Thursday, May 12, 2016 by: Isabelle Z. (NaturalNews) Australia is mulling over the construction of a gigantic nuclear waste storage facility in the southern part of the country, according to a Royal Commission report that was published this week. South Australia is sparsely populated, and houses one of the biggest uranium deposits on the planet. Nuclear advocates feel it is the ideal site for a nuclear power plant as well as a nuclear waste dump. A multi-national facility of this magnitude would bring the region a huge influx of cash. In fact, estimates place the potential economic benefits over the course of the next 120 years at $73.5 billion for the region, and another $188 billion for the government, which would largely come from other countries paying for their nuclear waste disposal. In addition, the facility is expected to create 4,500 full-time jobs for its construction, and 600 full-time jobs for its operation. The Australian government is supporting the commission's report, and is ready to work with South Australia if they opt to go forward with the plan. The Director General of the World Nuclear Association, Agneta Rising, said, "The existence of a multi-national waste facility based in South Australia would grant a welcome option for many countries operating nuclear facilities today. Far from it being the case that there is 'no solution' to nuclear waste, we are now seeing multiple viable alternatives." Some people believe that gathering nuclear waste together in one site makes it easier to secure, control and keep track of, minimizing the possibilities of widespread radiation exposure across multiple cities, and reducing the chances of these dangerous materials getting into the wrong hands and used in a dirty bomb. 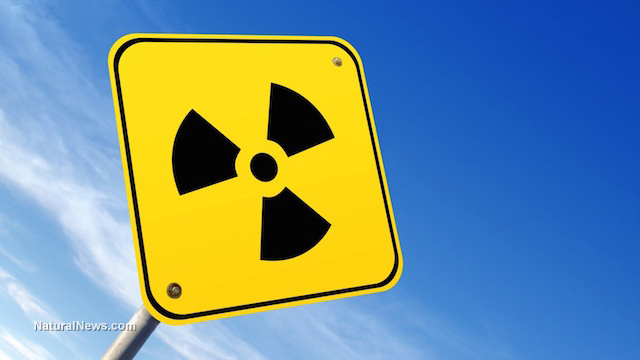 However, others feel that the health concerns of radiation exposure are simply not worth it. Campaigner Dave Sweeney of the Australian Conservation Foundation said, "The promise of dollar signs seems to have blinded the commission to the known danger signs. High-level radioactive waste is a long-term environmental threat, not a short-term business opportunity." Nuclear waste disposal is a tricky proposition, and has long been at the heart of opposition to nuclear power by environmental groups. Nuclear waste is currently piling up in the U.S. The government was required to come up with a long-term plan for the storage of nuclear waste produced by energy generation as well as its weapons programs, but political maneuvering has resulted in nearly all of the spent uranium fuel being stored on the sites of the reactors that used it. Nevada's Yucca Mountain was selected as the site for a national nuclear waste repository. Opposition from locals and President Obama has prevented the plan from getting off the ground, even as the state has collected billions of dollars from electricity customers and taxpayers for allowing the project to take place. A Waste Isolation Pilot Plant (WIPP) was put into action in Carlsbad, New Mexico, in an underground facility for storing radiation-contaminated materials from the production of nuclear weapons. In early 2014, workers at WIPP were exposed to radiation after a storage barrel there exploded, causing radioactive material to spew from the mine and up to the surface. Staff members were blamed for the incident for not following procedures, leading to questions about how safely the government can store nuclear waste. Meanwhile, high rates of cancer have been noted in the area surrounding St. Louis's Coldwater Creek, which was contaminated by nuclear waste. Exposure to radiation can lead to a number of cancers, especially leukemia, and it can take several years to develop after exposure has taken place. While iodine can be used to help people prepare for nuclear disasters, most people do not want nuclear plants or nuclear waste anywhere near their neighborhood, no matter how many billions of dollars or jobs it can generate.